Copyright: Entrant grants the Organisers and Award Partners and Sponsors a non-exclusive irrevocable licence to reproduce, publish and communicate to the public by any means and exhibit their awarded image(s) and copies of their awarded image(s) in all media throughout the world, only in relation to the Competition. 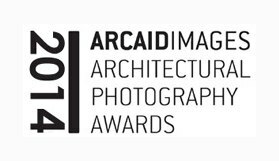 The Arcaid Images Architectural Photography Award aims to put the focus onto the skill and creativity of the photographer. We ask the judges and the viewers to look beyond the architecture to the composition, light, scale, atmosphere, sense of place and understanding of the project. Exterior Images should be of the exterior of a building communicating the nature of that building. Interior Images should be of a building interior effectively communicating the space. Sense of Place Images should show buildings or spaces in their wider context and environment. Buildings in Use Images should show occupied buildings. Images will be Shortlisted and Winning Images will be displayed in a dedicated exhibition at the World Architecture Festival in Singapore and again in Sto Werlstatt, Clerkenwell, London. Image requirements: 40MB minimum size when uncompressed at 300dpi; High resolution Jpeg format; Adobe RGB (1998) colour space; cropping, brightness, contrast, colour balance, dust spot and minor artefact removal and HDR are all permitted. Submission of digital photographs by email or by post on CD.